It’s been easy to remain optimistic about EOS thus far in 2018. EOS claims to be the answer to Ethereum’s scalability challenges. EOS mainnet launches in a few weeks (June 2018). EOS token has done extremely well relative to the overall market. Scalability concerns with Ethereum and others have driven investors to seek projects that promise increased performance. This leads to many “scalability projects” becoming overvalued relative to their fundamentals which makes it difficult to discern where to invest. EOS, which have not launched their mainnet, is already worth over $10 billion in market cap. It’s easy to assume EOS is overvalued at this level, but there are also many signs pointing towards it deserving every cent of that market cap. EOS is a general purpose smart contract blockchain created by Dan Larimer and the Block.one team. EOS has chosen to focus on speed, scalability, and an advanced user experience (no transaction fees, account recovery, etc.). Here at Invest in Blockchain, we’ve covered the background of EOS before, but if you want a deep dive it’s highly worthwhile reading the 29-page EOS Analysis by Myles Snider, Kyle Samani, and Tushar Jain at Multicoin Capital. In this article, we discuss our top 6 reasons to consider EOS an investment opportunity. It’s no secret that today’s blockchains are not capable of scaling to mass adoption in 2018. This doesn’t mean blockchains will never scale, but today’s manifestations are severely limited. EOS is designed to prioritize performance (scalability) by offering only the minimum necessary requirement of decentralization. This means that EOS is targeting applications that need some level of decentralization but not at the cost of performance. For example: decentralized Twitter, decentralized Airbnb, or decentralized gaming. EOS can achieve high throughput by leveraging Delegated Proof-of-Stake (DPoS) with a fixed number of specialized block producers (21), and through the use of parallel side chains. 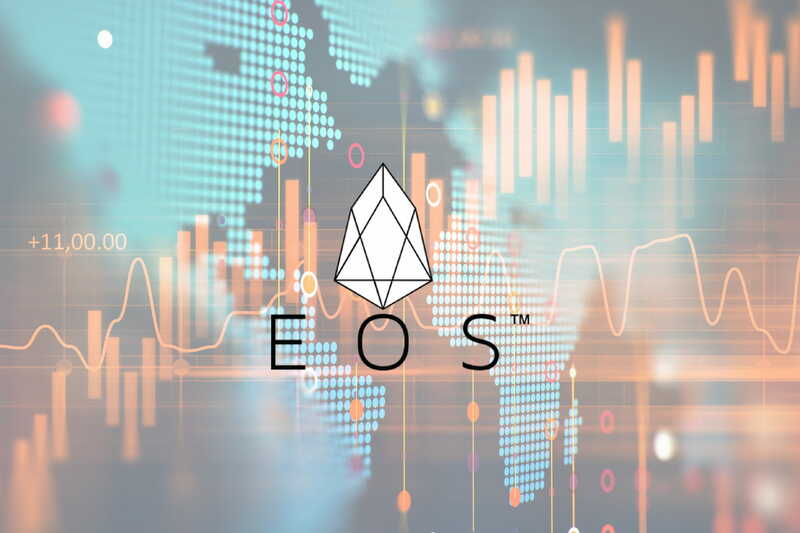 Dan Larimer, creator of EOS, has said they plan to launch the network with 1,000–6,000 TPS. This would make EOS one of the fastest networks available. While this has yet to be achieved, so far they have proven 600 TPS with 2 second block times on the testnet. Investors are starving for the perfect cure to our scalability woes, and EOS will continue to capture some of that value. That being said, it’s never that simple. We will debate scalability for years to come. EOS shows promise and deserves some attention as a high-performance blockchain, but it is not the silver bullet to the scalability problem. Scaling is an ongoing challenge that cannot be solved by launching some “hot new 3.0 buzzwordy” blockchain. First, there are trade-offs when designing a blockchain. If you increase scalability, you must decrease either security or decentralization. Second, as soon as we improve scalability, this leads to new products evolving to take advantage of the increased performance capabilities… leading to another “scalability crisis.” As soon as we improve performance, the market adapts until scalability limits are reached again. This cycle will continue forever. Paraphrasing the words of Andreas Antonopoulos, hopefully blockchain will gracefully “fail to scale” for the next 25 years (just like the internet did). Ethereum strives to become “a decentralized world computer.” However, so far it’s only managed to become a platform to issue to new tokens. While crowdfunding through token issuance is a revolutionary concept, what happened to decentralized applications? Due to current limits in scalability, it’s impossible to run high TPS dapps on Ethereum. Ethereum is planning to improve its scalability (sharding, etc) but this won’t be realized for several years. This creates a dilemma for the Ethereum community: will developers wait several years to launch their dapps on Ethereum or will they switch to another blockchain that’s already realized massive increases in scalability? While Ethereum has a head start with developers and network effect, EOS is positioned well and they have a few tricks up their sleeve. EOS plans to offer an easy way to “port” projects from ETH over to EOS. The promise of scalability now and a friction-less transition could make poaching projects from the blockchain giant easy. EOS is wrapping up a year-long ICO in which they raised roughly $2 billion in ETH. Not only is this a ton of money, but it also gives Block.one (the company behind EOS) immense power over the ETH market. EOS could theoretically hurt the price of ETH by dumping large stacks of ETH on the open market (not that they plan to do this, but it’s certainly possible). Holding power over your biggest competitor is a smart (albeit ruthless) strategy. To add fuel to the fire, Buterin and Larimer do not agree on some fundamental assumptions, evidenced by their recent back and forth. First, Buterin criticized DPoS and EOS by calling it a plutocracy. Larimer responded, defending both DPoS and EOS while firing shots at Ethereum’s proposed scaling solutions. Lastly, I believe both Ethereum and EOS will continue to grow and maintain relevance for years to come as they fulfill slightly different use cases. This highlights the need for some kind of “treasury model” where a percentage of inflation/fees are reserved for ongoing development of the ecosystem. A good example of this is DASH, which reserves 10% of the mining reward for ongoing development. While Bitcoin pays for network resources through both inflation (block rewards) and miner fees, EOS only uses inflation. EOS has a maximum of 5% annual inflation. A portion of that is used to pay the 21 block producers, and then token holders vote on how the remainder is used. Options including burning tokens to reduce overall inflation or funding popular projects to benefit the ecosystem. This ensures an ongoing funding, assuming the community agrees it’s a good idea. Another smart move by Block.one was investing some of their token sale proceeds into several EOS ecosystem funds, such as Tomorrow Blockchain Opportunities, Galaxy Digital, and EOS Global. Block.one leverages these funds to ensure external professional investors attempt to improve the EOS ecosystem through capital investments. Theoretically, this should ensure high-caliber projects are continually being built on EOS. Is Dan Larimer Going To Leave After EOS Is Set Up? A common criticism of Larimer is that he left Bitshares and Steem soon after setting them up. While Larimer was no longer needed at these projects after they were initially completed, some are questioning whether he’s going to do the same to EOS. Bitshares and Steem are both “application-specific” blockchains which nearly reached maturity. In comparison, EOS is a general purpose platform capable of supporting many different kinds of applications. Larimer himself said he has a financial incentive to spend the rest of his career building projects on top of EOS. In fact, he’s publicly stated he wants to create a Steemit competitor on top of EOS. I’m not taking shots at Larimer’s age. The crypto space is full of inexperienced founders promising the world, so it’s refreshing to come across a leader with a proven track record. Larimer has successfully launched 2 previous application-specific blockchains. Both Steem and Bitshares are considered huge successes, and STEEM accounts for more transactions than any other blockchain. EOS, Steem, and BitShares all use a DPoS consensus mechanism and a Graphene Blockchain Implementation. Graphene is an open source, high performance, modular blockchain technology originally created or BitShares. This lends confidence to the future and staying power of EOS. While past performance does not guarantee future success, Dan Larimer has proven he can create a successful blockchain from the ground up. Twice before. Holding EOS tokens is a requirement for utilizing shared network resources (storage, bandwidth, etc.). Each token holder is allotted their percentage share of available network resources at any given time. This means in order for a project to use EOS they must hold a stack of EOS tokens. Eventually network resources will become constrained and a secondary “EOS token rental market” will be required. This leads to 2 options: new projects can either outright buy EOS tokens at market price, or they can rent them from another token holder. This is similar to how many business currently rent resources from Amazon Web Services. From an investment/speculation perspective, token holders are similar to owners of digital real estate, capable of renting out our precious EOS tokens to others for a fee. It’s unclear exactly how this secondary rental market will play out. Presumably, market forces will find equilibrium between renting/buying EOS tokens, depending on the variables. CHINTAI created an EOS token leasing program (goes live in June 2018) and Block.one has said they will create something similar. Airdropping tokens is by no means a requirement of the EOS platform; however so far, they seem to have cultivated an airdrop culture. So far we’ve already seen several projects airdrop free tokens to EOS holders, and Everpedia (Wikipedia on the blockchain) is planning to airdrop their IQ tokens right after the EOS genesis block. While it’s still too early to tell, it’s entirely possible that EOS will overtake Ethereum to become the #1 operating system for decentralized enterprise applications in the West. If we’re going to see a decentralized Uber, Facebook, or Twitter anytime soon, they’re going to be built on top of EOS. Where do you stand on EOS? Will the project live up to the hype? *Disclaimer: The writer of this article holds both EOS and ETH tokens. This article should be taken as opinion only. It is not meant to be financial advice and there is no substitute for doing your own research. What about decentralizatio of EOS? 21 nodes ?? Can you say EOS is decentalized ? Ethereum has more than 15,000 nodes. What is the point of fast transaction without decentralization ? That can not be used as a public platform. EOS team is attempting to offer the minimum amount of decentralization while still allowing for high performance. This allows for a “neutral database” aka “platform grade censorship resistance” but does not achieve the highest level of censorship resistance needed for something like Bitcoin. EOS believes that there are many applications that will benefit from some decentralization but do not need “as much decentralization” as Bitcoin. Combining moderate censorship resistance, high performance, no transaction fees, and user account recovery makes a compelling case for dapps like: social media, airbnb, gaming, etc. However, I would not like my savings account stored on the EOS blockchain (that’s why we have BTC). 21 nodes sounds bad but 21 (EOS) to 15,000 (ETH) in not apples to apples. These nodes are chosen by the community of token holders and if/when bad actors emerge, theoretically the community would remove their power through an on-chain voting mechanism. I’d think more about your nickname title. I’m new to the crypto maket so pardon my new-ness gents, but can someone let me know if I’m on the right track with my question. I’m looking to mine a crytpto currency, is the EOS software to do such it is it an actual crypto-currency?